Samsung shares 6 Life Hack tips in the Kitchen and in the Laundry Room. Simple yet effective life hacks that will make life at home more convenient. Modern homemakers face a big challenge in balancing work and making sure that their family gets the best care at home. Difficult as it may seem, taking care of the family while keeping a full-time job can be made easier with efficient and reliable help. Samsung Digital Appliances provides super moms and dads with the perfect partners in life through its innovative products. With the right tools and tricks, homemakers can prepare fresh and healthy meals, accomplish the week’s laundry, and spare enough time to bond with the kids. 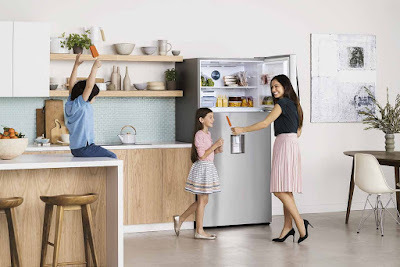 Samsung shares a list of ‘life hacks’ in the kitchen and laundry room to make daily tasks simple, enjoyable, and time-efficient with the help of the Samsung Twin Cooling Refrigerator and AddWash Washing Machine. 1. Monitor temperature. When storing food, try to customize the refrigerator’s temperature settings according to its contents. The Samsung Twin Cooling Refrigerator makes it easy to set the temperature to optimal conditions with a push of a button. 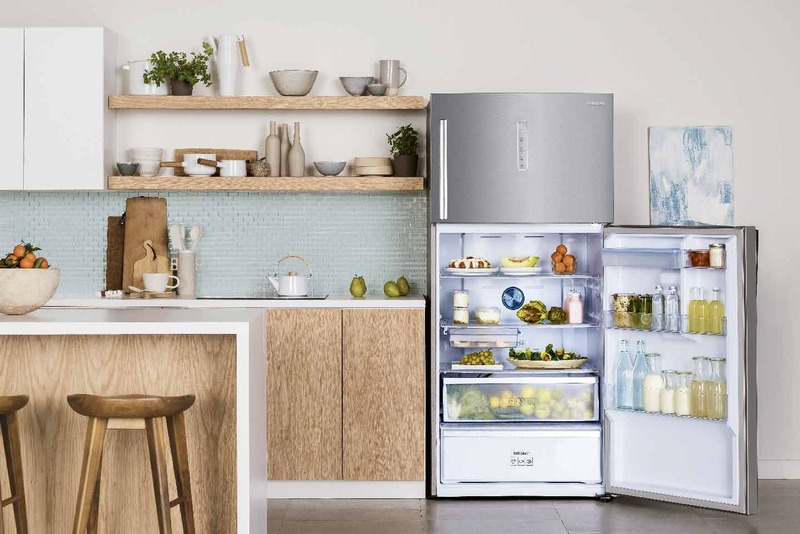 Samsung’s innovative Twin Cooling Technology gives separate temperature controls for the fridge and freezer, bringing superior energy savings and capacity for wiser consumption with each compartment set to its optimal temperature. 2. Store food properly. Make sure to store like items together, grouping vegetables, meats, and cooked perishables. Sometimes, homemakers find their fridge overflowing while the freezer is nearly empty. 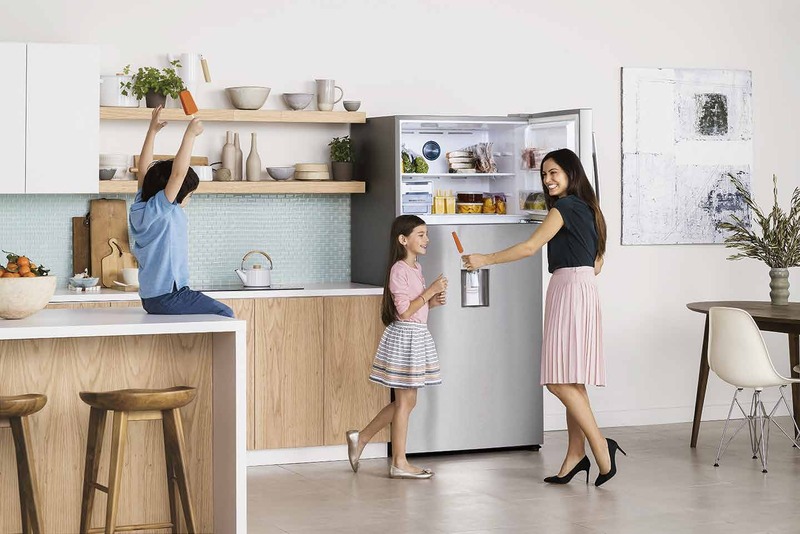 For these scenarios, the Samsung Twin Cooling Refrigerator offers the flexibility of converting the freezer to a fridge to store more groceries, or to turn off one compartment depending on the family’s storage needs. The Samsung Twin Cooling Refrigerator’s Smart Conversion feature allows for five different conversion modes: regular mode, turning the entire freezer into a fridge, keeping only the freezer on, keeping only the fridge on, and turning the freezer compartment into a mini-fridge. 3. Do not overfill the refrigerator. Cramming the refrigerator with food will limit air circulation, which can affect food freshness. Also practice a first-in, first-out approach so that the fridge is not filled with leftovers that may go stale. A refrigerator is truly a must-have in every home so it has to be durable, energy-efficient, and an elegant addition to the modern kitchen. The Samsung Twin Cooling Refrigerator uses digital inverter technology, which ensures efficient energy consumption. Its digital inverter compressor also comes with a 10-year warranty on motor to make sure that the family’s “partner in freshness” will serve the household for many years to come. 1. Schedule laundry days. Plan when to do the laundry. Organize all items to be washed so they are ready to go into the washing machine. For times that you forget to include items of clothing into the wash, the Samsung AddWash Washing Machine lets users add missed items during the wash cycle. Users can also put in hand-wash items during the rinsing process, saving precious time and energy that are better off spent with loved ones. 2. Segregate clothes. Gather clothes of the similar material. Never lump delicate clothing with denim and other heavier fabrics. This will avoid damage of the clothing items. It also helps to look at the washing machine’s unique features, which can turn the product into a partner in convenience. 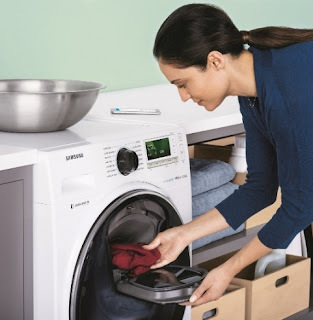 Samsung washing machines use the Ecobubble Technology, which mixes air, water and detergent to create bubbles that penetrate clothes 40 times faster than plain soap and water. The result is cleaner clothes with less power consumption. 3. Make sure there are enough items per wash cycle. Maximize time, energy, and resources by making sure you put in enough items for every wash. Samsung’s Add Wash machine can load up to 12 kilos of clothes and offers Samsung’s SuperSpeed feature, which completes a normal wash in less than an hour without compromising wash quality. In addition, the AddWash uses Samsung’s SpeedSpray technology, where detergent is rinsed off faster through sprays of water, and a Digital Inverter motor, which ensures superior energy efficiency and minimal noise. With the game-changing technology of Samsung Digital Appliances, modern homemakers can have partners in life that will help them in daily household tasks, allowing more quality time for the family.